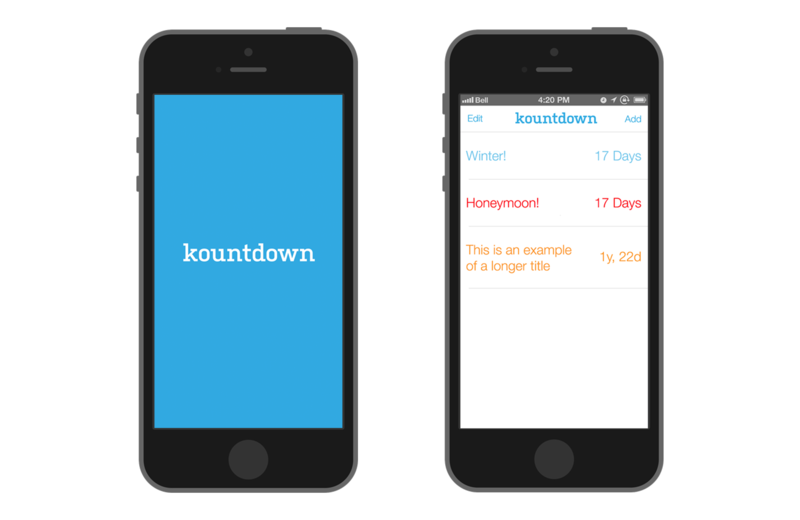 Kountdown is an application that my brother and I created in our spare time that allows a user to see how many days, hours, minutes, and seconds are left until an event of their choosing. 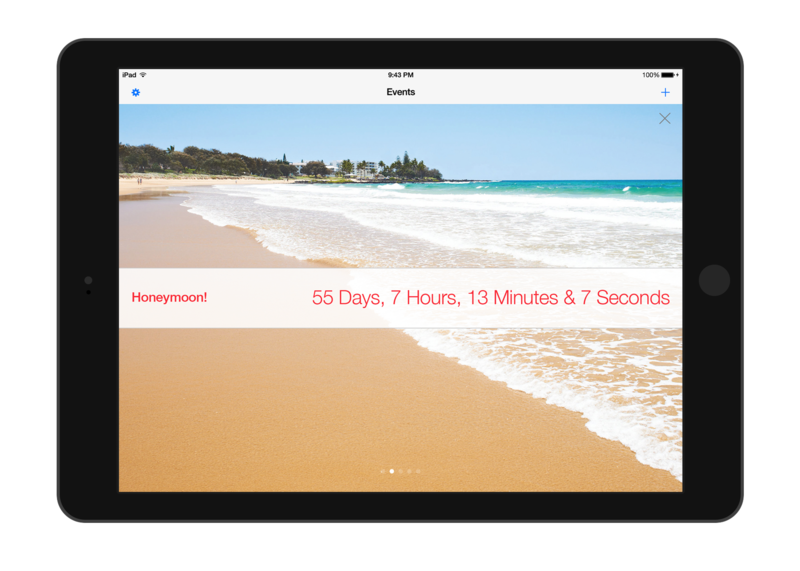 The user has the ability to add, edit, and remove events, as well as set a custom background image. 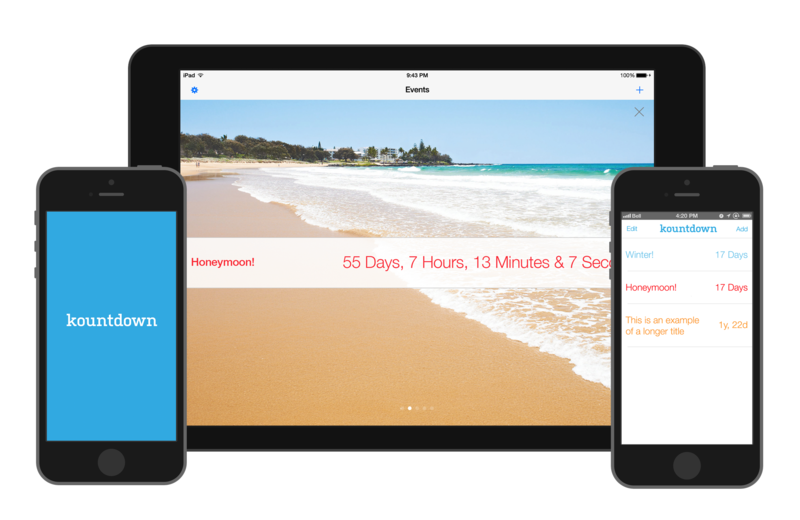 The design style for this app was meant to mimic the design style of iOS7, as it was released shortly before we began work on the app.